Make life easier for yourself and your tenants: collect rent online. Start by connecting to Stripe. Click on your account name on the right of the top navigation bar and select Rent Collection. 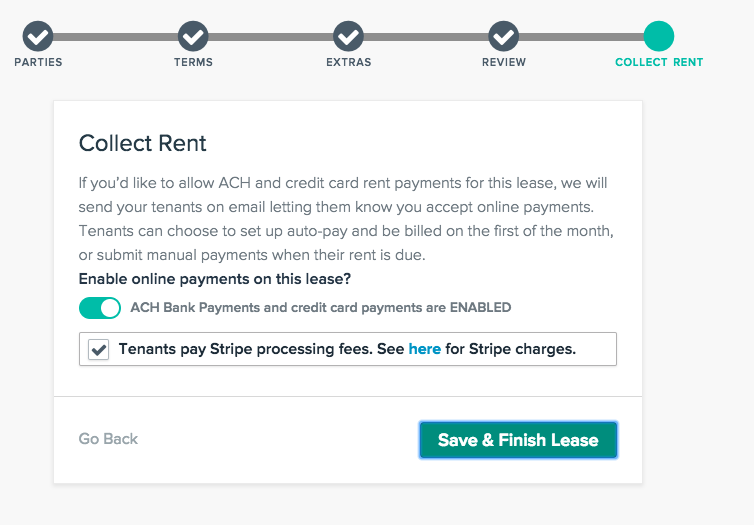 Click Connect to Stripe where NowRenting will redirect to set up a Stripe account. Stripe will ask for your bank details along with other basic personal information. 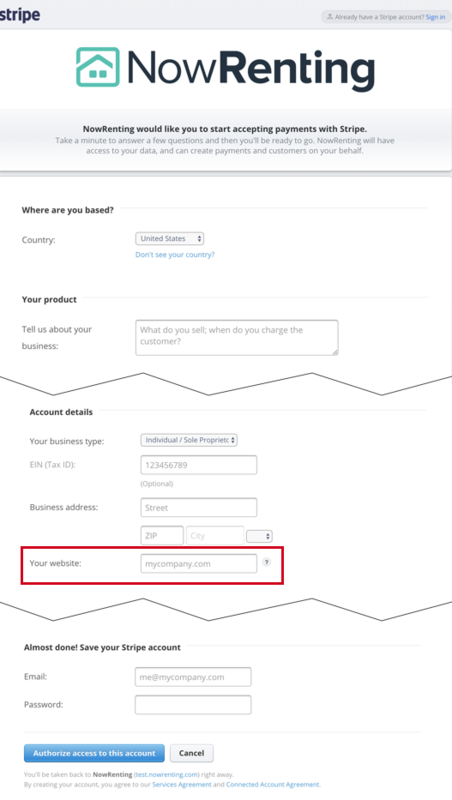 Stripe requires a website URL to continue to connect. If you don’t have a website URL use your NowRenting Directory Profile URL or any NowRenting Listing URL. Once you authorize access to this account. Your stripe account will be connected to NowRenting. You can disconnect your Stripe account at any time. You are now set up to collect rent through NowRenting. While creating a new lease, on the Collect Rent screen you will be prompted to enable bank payments. Simply set the slider for ACH Bank Payments to ENABLED. This must be done for each lease individually. You will also be given the opportunity to choose whether your tenants will be required to pay Stripe’s processing fee, or whether you’ll bear it. If you choose to pay the fee, it will be automatically deducted from each payment. For details on Stripe’s pricing policy, see here.